A major aluminium smelter near Gladstone on the central Queensland coast recently commissioned Goyen Controls Co to install a system of weather sensors to allow for the monitoring of ambient weather conditions. Due to strict environmental controls and plant operating rules, the Comalco smelter, which is the largest in Australia, required a system that could deliver real time monitoring. 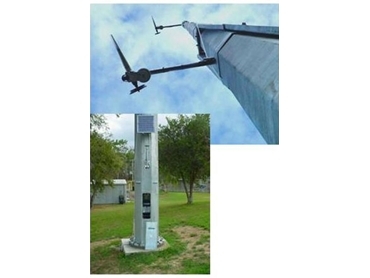 A 30 metre tilting tower was installed by Goyen Controls Co with a range of weather sensors, which is now able to provide real time monitoring of air conditions adjacent to the smelter site. Data is transmitted from the system via a GSM link to the control room, where it is displayed on graphical and tabular displays. ongoing servicing and annual calibration.